A student at Swanson Middle School launched a business earlier this year where young people can be hired to help residents with various simple chores. Charlotte Cunningham, 13, launched Youth Neighborhood Care in May. So far, she is the only young person available for chores, from 3:30-6 p.m. Mondays through Fridays and by appointment at the weekends. It currently operates in the Tara-Leeway Heights neighborhood, but Cunningham said she hopes to expand in the New Year to hire more youths and maybe go into more neighborhoods. Services provided to residents, for a fee, include babysitting, dog-walking, performing outside chores like raking leaves and running local errands. And Cunningham said that not only will hiring youth make a positive impact on the community, it will benefit residents who hire them. “I’m really trying to show people that instead of hiring company after company, you can hire youth and they can get the job done more efficiently,” Cunningham said. 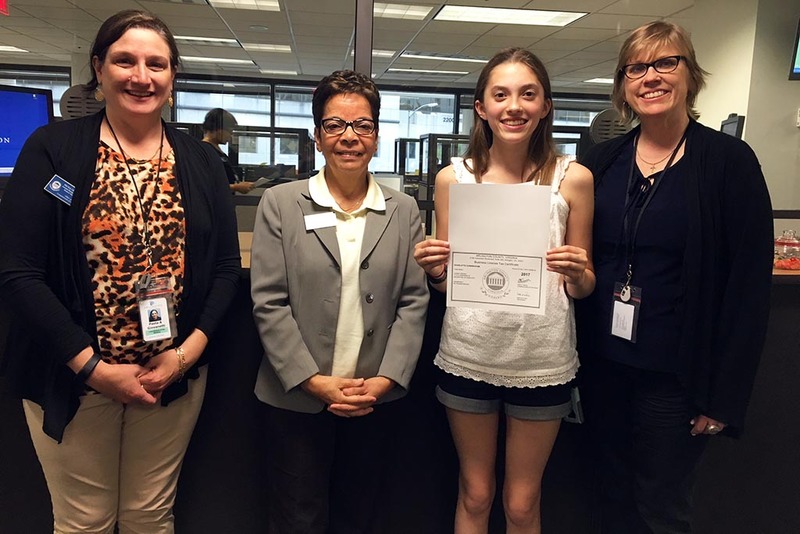 YNC got its business license earlier this year, and Cunningham participated in the Arlington Chamber of Commerce’s Young Entrepreneurs Academy to develop her business plan, pitch to investors and launch the company. She said she also enjoyed the networking aspect of YEA! — meeting other local small business owners and learning more about something she had aspired to do for a while. And while it might appear to be challenging to balance running her own business with the demands of going to school full-time, Cunningham said she is doing fine and is confident she can handle the coming expansion.